On 7 May 2015 we released the Estates management record for 2013/14. This record collects standardised, reliable and useful property information for managers to aid understanding of current performance, promote sharing of best practice and drive improvements. 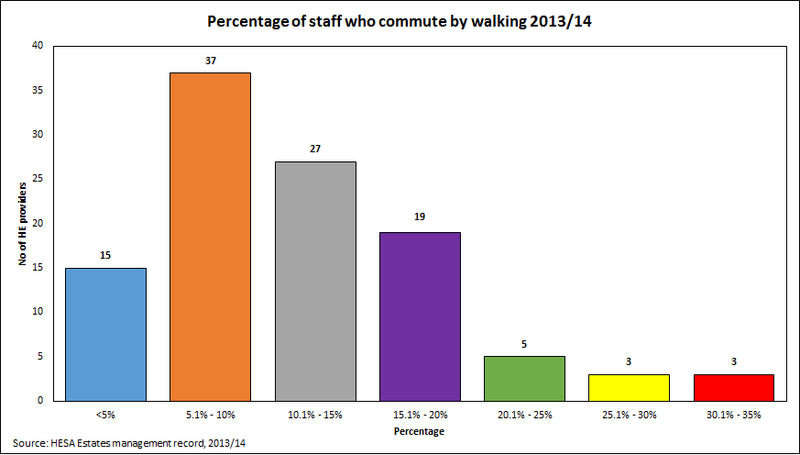 On the topic of Walk to Work Week, the Estates management record usefully includes an estimated percentage of students and staff who travel to and from the HE provider. Note it is not mandatory for providers to return this information but in practice they often do. 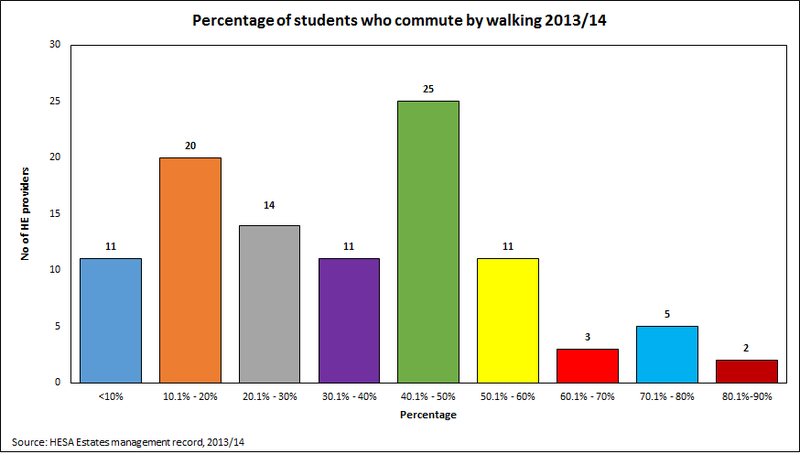 Two providers estimate over 80% of their students walk to and from their term-time address to their provider. Comparatively, ten providers estimate less than 10% of their students walk to their provider. Three providers estimate over 30% of their academic and support staff walk to and from their main place of work at the provider. Comparatively, 15 providers estimate less than 5% of their staff walk to the provider.